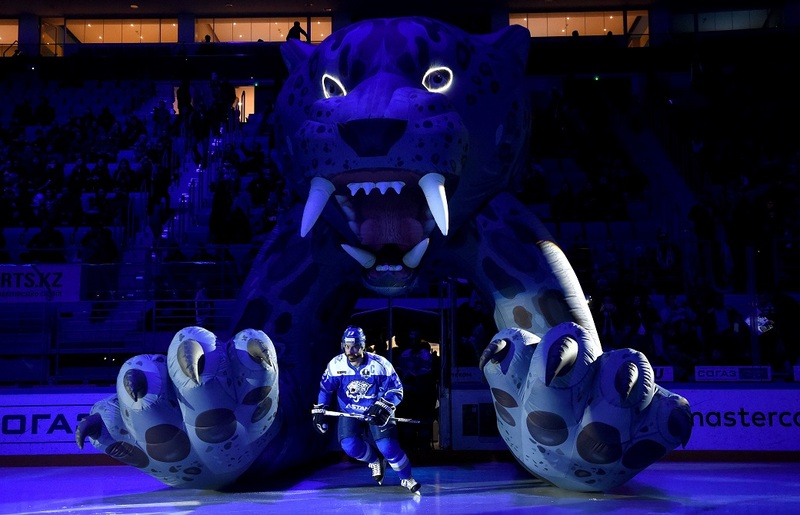 The Barys Astana forward, in his first interview after his return, talked about being a coach, his wife’s opinion about his return to Kazakhstan, his business ventures in the USA, his return in the locker room, his prospects for the new season, and much more. In 2017 May, Brandon Bochenski announced to have retired from professional hockey. The KHL record-breaker among non-Russian players decided to spend more time with his family. However, he couldn’t last long without hockey. 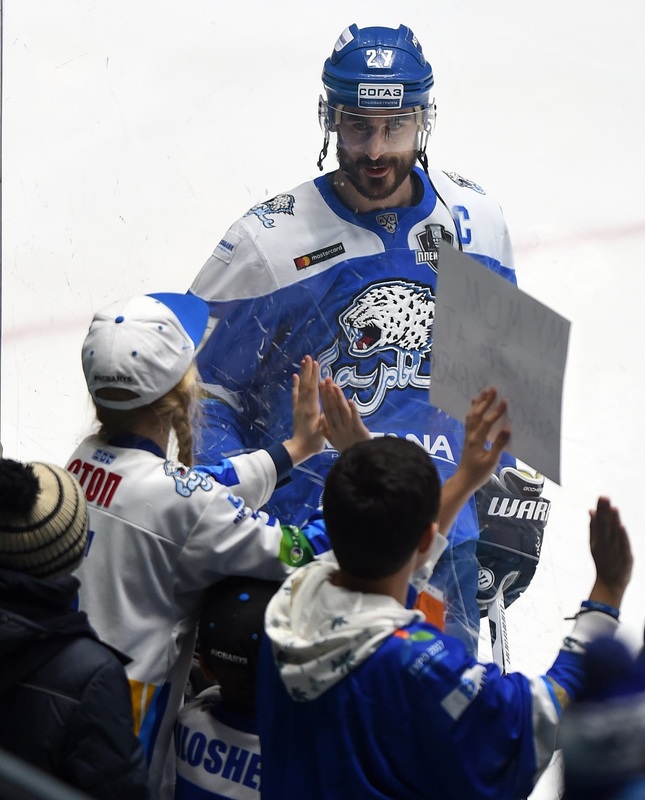 On July 3, the American with a Kazakhstani passport got back to his second home country and signed a contract with Barys, where he spent seven seasons. 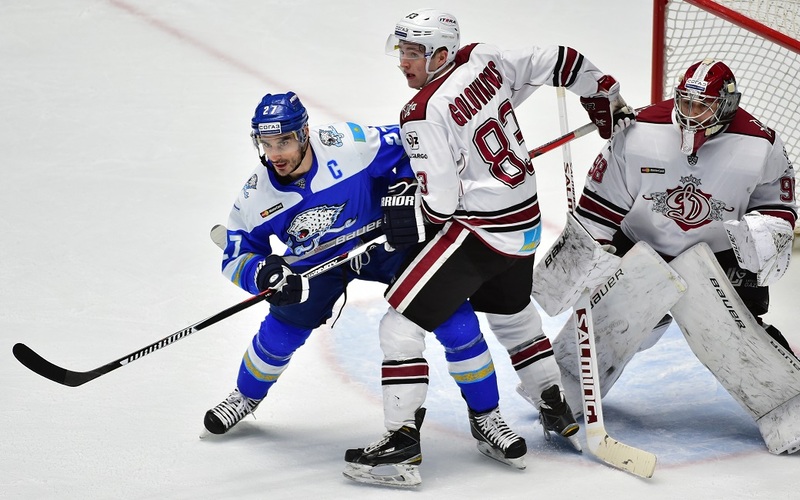 Much has changed in Barys, and Bochenski pretty much ended up in a different team. How will he fare in the 2018/2019 season? - Brandon, what is the main reason behind your surprising announcement of last year? - I was far from my family for too much time. My wife and kids were always with me, but our parents were not, and they get older and older every day. I felt like it was time to take a pause, devote myself to my family, travel with my kids. Everything was great. It has been a fantastic year, it made me much stronger in my spirit and I feel like now I am at peace with myself. - How did you start your new life without hockey? - How much time did you spend without a hockey stick? - It was quite long, some six-seven months. I played tennis, golf, I had some running and fitness, but I hit the ice only in November. I joined a group of ex-colleagues, they also retired, and we would play twice a week. I understand that I have a lot of work in front of myself. I need to work so that the fans won’t be disappointed, and it motivates me a lot. - On the internet, an interesting news appeared. Allegedly, you bought a big plot of land in Grand Forks as you didn’t want that huge buildings were built there. - Yes, it’s true. I have a lot of things that tie me with that territory. I studied there fifteen years ago, my wife is from Grand Forks, my parents live nearby, therefore it means that kids can stay close to their grandparents. It’s a great place, with picturesque landscapes. A nice little place, without much fuss. We decided to build there a home. Regarding the land purchase… let’s say that I killed two birds with one stone. I have prevented the erection of huge builds close to our place, which would have ruined the landscape, and it gave me a good chance to start a business. It was good that I managed to purchase the land at the very last moment. If I waited another little bit, then the local government would have launched their own development plan. I didn’t have many difficulties, all I had to do was signing my cheque. The hard things start now: I need to use and develop the land in the right way. There are some cottages there now, and those will be rented out. In the end, we should have more than fifteen. - Another interesting news: you and your friend started acquired a hunting firm. Are you a hunter? - Not really, I prefer to go fishing, but sometimes I go hunting a deer. My friend is more of a fan, he bought all the necessary for deer-hunting, he also owns a license, but he didn’t have enough money to start production. For that reason, we became partners and now we share the business. All is good now, we have good sells and we started having a profit. I was so sure that I closed ties with hockey… if only I knew! - Did something else happen last year? Something important? - The most important thing is that I understood how much I missed hockey. As the saying goes, we always realize the importance of something after losing it. Last spring, I was so sure that I closed ties with hockey, that it was a closed chapter… if only I knew! - In one of your interviews, you said that your kids haven’t chosen what they want to do yet. Did they pick up something in the meantime? - We had many variants. They played football, all three played the piano and – interestingly so – all three loved it. Of course, they asked about hockey. My son played last year, and I helped his team’s coach. Now, also my daughter wants to play hockey. She asked for that right before my departure to Astana. We quickly went to a store to buy the equipment and she will start in a couple of months. Of course, I tried to explain to her that hockey maybe is not the best sport or girls, but she said: “Dad, I want to be like you.” How can you say “no” to a kid after such a phrase? The coach knows that I am a veteran and he wants me to be a leader for the team, both during the game and in the locker room. He wants me to share my experience with the other players, give them good advice and talk when needed. - It looks like you didn’t lose your shape last year. - Of course, I have been playing sports forever. As I said, I played tennis, at least three times a week. At first, I wasn’t very good, but now I think I play rather well. There are enough similarities in different elements if you take tennis and hockey. Then, I went to the gym, had my running, rode my bike. I love sports, I love practicing, I like living that way and you don’t have to force yourself to do something every day, and I really have fun. - Did you change your attitude towards anything else? - I didn’t set myself such a goal, I was just trying to enjoy every moment of my life. Having fun with my new activities, as earlier I didn’t have time for that due to my career. I don’t like to philosophize. - How did you start missing hockey in your life? - I followed Barys for the whole season. The team started well and felt good. When a team has good results, it means that it also has potential. But when the team started losing, I couldn’t help but start missing hockey and think about my return. That’s why I started playing and coaching my son, but it wasn’t enough. - So, you were talking all the time with the guys, right? - Exact. I was always talking with Kevin [Dallman] and Nigel [Dawes], supporting them and trying to give them good advice. - And when a switch flipped into your head? - I can’t tell you a concrete date, everything happened gradually. I felt like I was in good shape and I understood that I truly loved hockey and missed it. In the same time, I realized that I won’t be in good shape forever and that with each year I’m going to have less and less time. Thus, I come into such a conclusion – that I need to play. - How did your family like the idea? You set things up overseas, and again back to Astana. - My family’s support was one of the things that had the most influence on my decision to return. When I talked with [my wife] Jenny and my kids, they understood me. They realized that I was missing playing hockey. Yes, it’s hard for them, they have their life overseas, but they know how important this is for me. That’s why my wife just nodded and told that I need to be in good shape not to make a poor showing in the team. After these words, I was so inspired that I doubled my efforts. I love sports, I love practicing, I like living that way and you don’t have to force yourself to do something every day, and I really have fun. - How did your negotiation with Barys go? Did you have other variants? - The directors and I talked about renewing my contract already before the start of last season, but I refused. We talked from time to time, but once the regular season ended, we stopped communicating. I have been offered to get back and help the team both as a player and as a coach. I was happy to get back and we agreed on everything, but probably nothing would happen if Boris Ivanischev didn’t become Barys president. I know him for a lot of time, I respect him, he was a player in the past, he knows his stuff and works in the team for a long time already. - As far as I know, your contract isn’t really a big one. - I think it’s a fair deal, I got back for the love of the game. I have already earned my money, I have my business, thus I can allow myself to choose what to do and not worrying about money. - Do Dustin Boyd, Nigel Dawes, and Brandon Bochenski talk off the ice? Did you talk after you announced your return? - Of course, they both called me, congratulating and wishing me good luck. Moreover, both said that it was a pity not to play in the same team. We always communicate off the ice, following each other and congratulating. Now we are on different teams, but it doesn’t mean that it’s not an interesting situation. - How did you spend your first day in the locker room after your return? - It’s impossible to explain how I felt, you need to feel it to truly understand. I waited for this moment a long time. I know a lot of people here, I was so happy to meet our masseurs Baura and Buli! I played tennis, golf, I had some running and fitness, but I hit the ice only in November. I joined a group of ex-colleagues, they also retired, and we would play twice a week. - You have probably already talked with Andrei Skabelka. What does he expect from you this season? - The coach knows that I am a veteran and he wants me to be a leader for the team, both during the game and in the locker room. He wants me to share my experience with the other players, give them good advice and talk when needed. But the most important thing that a coach requires from his players is to give all of yourself during both games and practices. - What do you think about the preseason practices about such a long pause? - It was hard at first, but I am already used to it. After such a pause, I feel myself even fresher. I was lucky to stay away from serious injuries in these ten years so all is great, I feel like I am eighteen again. - What can you tell about the team’s new players? Were you familiar with any of them? - Not really, I just heard the players’ name and all. You know, now it’s very interesting. It’s pretty much like when I first got here and I was watching around trying to understand how I can help the team. - It looks like you sent yourself a challenge. What are you waiting for the upcoming season? - Yes, this is definitely a challenge to myself. I want to show the people that I left simply because I wanted to, and not because I couldn’t play anymore. I want to show that I’m still the good old Brandon and that I can still play. But I also understand that I have a lot of work in front of myself. I need to work so that the fans won’t be disappointed, and it motivates me a lot. I am not worried about how many points I will score or how big will be my salary. The most important thing is to be useful for the team and help the guys to win games. I don’t worry about myself, I want to fight for our common results – both for Barys and Team Kazakhstan. - Does it mean that you’re planning to return to the national team as well? - Of course, this was one of the reasons why I decided to get back. This year, Team Kazakhstan will play their division’s World Championship in Astana and I have never played at such a level in front of our home crowd. In hockey, you also have atmosphere, feelings, drive. I think that everything will be great and it will be a true hockey party. I can’t wait to start. Born on April 4, 1982 in Blaine, Minnesota, USA. Barys Astana – from 2010 to today. He missed the 2017/2018 season.